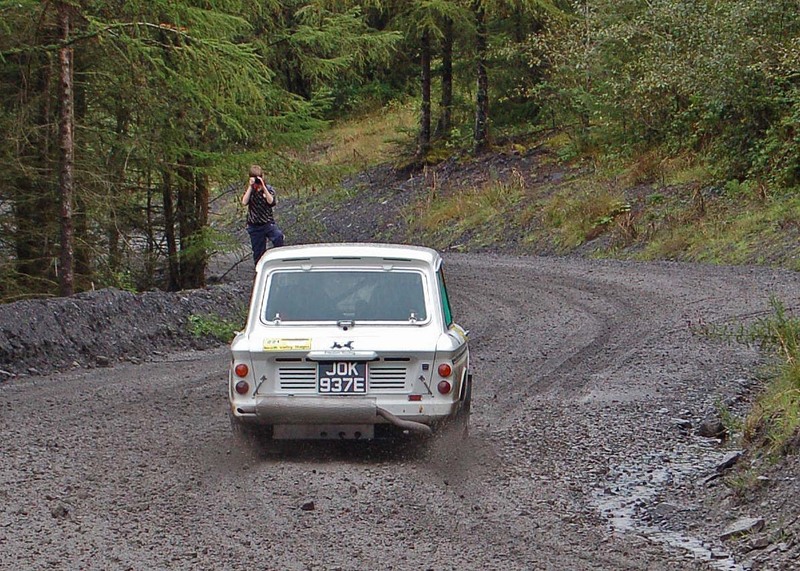 Some in-car action from ShammyMoo on the Alwen stage of the Cambrian Rally 2011. A fast flowing stage, but plenty slippery! Thanks to Sam Thompson for the loan of the camera and the initial edit, and to both Sam and Mike ‘Moose’ Dent for their invaluable advice and assistance on the event. We are 20 seconds in – but don’t blink it is very short. Following the Neath Valley Stages in August we swapped the power sapping mud and shale for a proper multi venue stage rally – the Cambrian Rally on 8th October. Based in Llandudno, there were 6 stages through the Penmachno, Clogaenog and Alwen forests followed by two passes through the stunning 2.94 mile Great Orme tarmac coast road which follows the headland facing theIrish Sea. Being on a cliff face seemed less of an issue than the 3” high kerbs which meant the punishment for untidiness would have been severe (3 wheeled Chamois at the very least!). Penmachno is said to have spectacular views but we didn’t notice! ; Clocaenog (like the Great Orme a famous ‘Lombard RAC’ stage) was very fast with lots of technical bits and hairpins that had to be got right! This was our third rally with the Chamois and we were fortunate enough to have Mike Dent – ‘Moose’ and Sam Thompson servicing for us. Mike built the Haydn Paddon Impreza which won the production class (Group N) WRC championship this year. Whilst Mike and Sam didn’t need to put a spanner on the car all weekend we did end up with significant negative camber on the OSF wheel following a severe bump left by a combination of Escorts and WRC’s digging ruts. Mike noticed it early in the event but after checking it was nothing serious kept it from the crew so we wouldn’t back off! 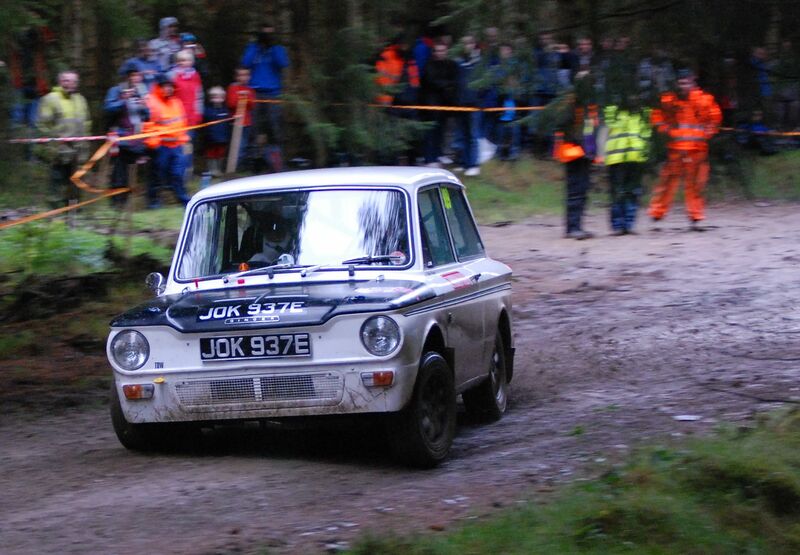 Out of about 120 starters we came 80th beating many serious rally cars with 3 times our power. We came 7th in the historic class (pre 68) swapping times with the Austin Healey 3000 of Graham Goodall (who has won the HRCR Historic Stage Rally Challenge) but Graham used his superior power to good effect on the Great Orme and ended up 40 seconds up on us over the whole event. 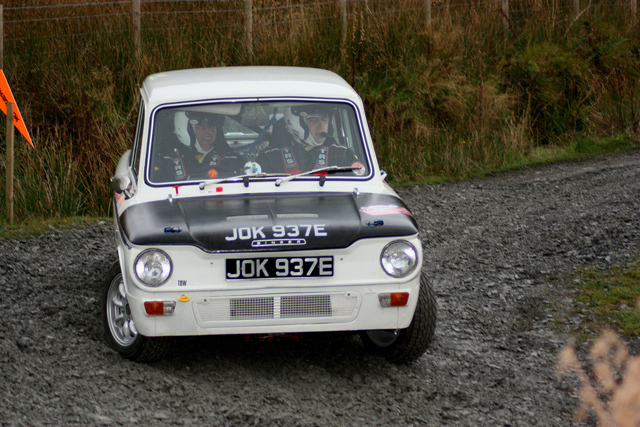 We also began to get close to, and on some stages, take time out of some of the Minis (all 1300’s). We’ve learned a lot about how to drive a competition Imp but even more about what we have done right and wrong about building a historic stage rally car. There is a list of developments planned to improve the car. It will all be pulled apart over the winter to check everything over and search out any potential problems and make some modifications. 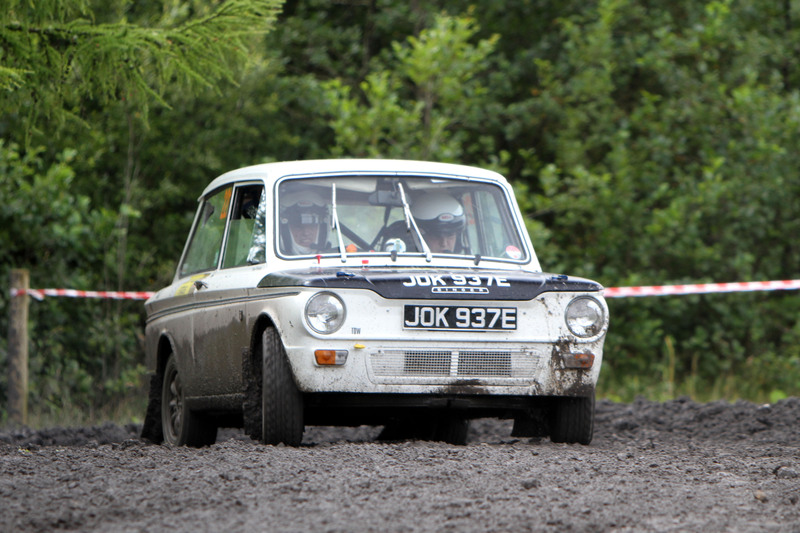 We plan to compete in the MSA British Historic Rally Championship next year. If anyone is interested and wants to know more about Shammy or rally Imp’s please contact nigel@friesianracing.co.uk and we’ll happily share what little we know.